It’s not how much you have, but how well you work with what’s in front of you. We often hear this saying as we plan to upgrade and renovate with little in our wallets. Truly, while remodeling a patio on a tight budget seems challenging, it’s certainly a feasible goal for the enthusiastic homeowner. 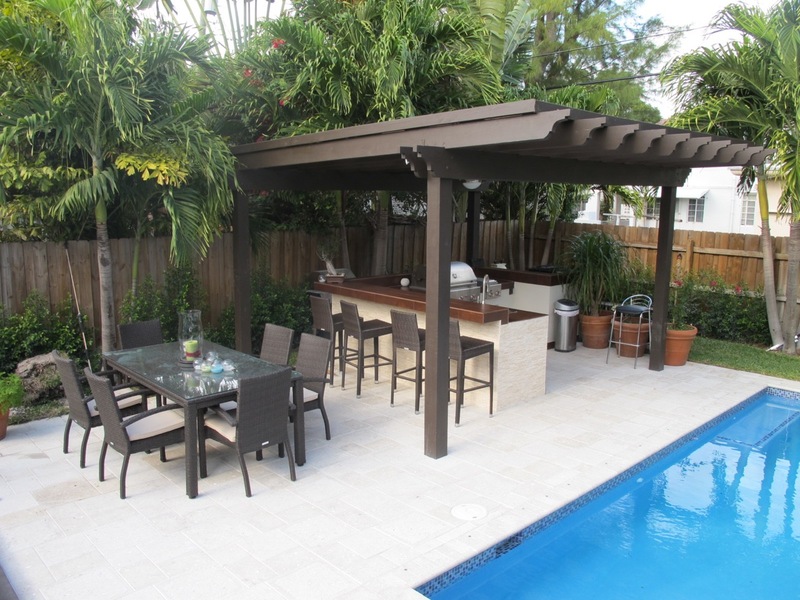 With efficiency in mind and a focus on long-term investment, we’ve provided 5 ways of remodeling your patio with a tight budget. Accessorize with simple elements. – You can enhance your patio’s appearance with budget-friendly resourcefulness. Consider creating a winding path leading to your patio. You don’t need a paver or resin-covered cobblestones. Rather, create a design with plastic stakes and spread crushed rock along your “stencil.” For a polished look, flatten the rock with compacting tools readily rentable at your local landscaping store. Add color to your patio surface. – You may own a patio composed of simple, gray concrete and desire to add warmth and pizzazz. This doesn’t have to cost thousands of dollars, thanks to stains available in multiple colors, including burgundy, beige, honey, and more. Even using a common sealant to cover your patio with decorative tiles goes a long way on a frugal budget. Peruse your thrift store for quaint figurines. – Goodwill and other thrift stores offer abundant figurines of various sizes at minimal prices. Keeping space in mind, establish a theme or color scheme and arrange these bargain finds in a way that brings out the most in surrounding hues and textures. Go bold with boulders. – Especially for backyards with considerable space, boulders add dimension and a strong border for your patio. You may find boulders at supply stores, or perhaps you have a neighbor seeking to minimize his or her rock collection. Be creative as you arrange your boulders. Fully align them around the patio, or settle for one side for an asymmetrical feel. Cluster them in a corner with a figurine or two. For homeowners on a tight budget, options for remodeling your patio remain bountiful and open-ended. For more advice on making the most of your remodeling projects, contact us today! This entry was posted in Outdoor Furniture, Outdoor Kitchens. Bookmark the permalink.